Now a day’s choices of cars have been shifted according to our demands of priorities which starts from daily ride to luxury. Money is power now; power to make decision even on your choices. Most of us prefer to have luxurious car for our routine life. Growing pace of lavishness has raised the customers now in a more demanding tone for luxurious cars which ultimately forced automakers to manufacture such vehicles and cars with a price range that can be affordable plus throw lavish look on first sight. 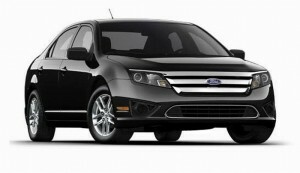 2011 has already been targeted by auto industries with some of the best and high tech featuring cars. We are going to throw light on some of them in this article. 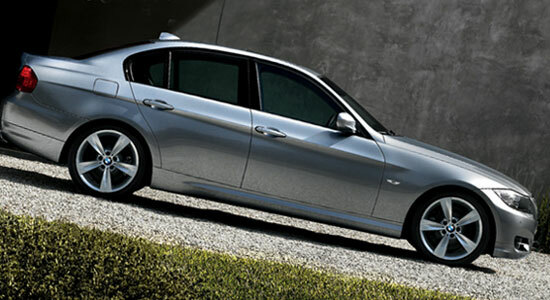 The BMW M3 is one of the luxury model and high-performance version of the BMW 3 Series. This BMW 3 Series models come together the pleasure of driving and best for daily ride, they are offered from the BMW 3 Series IN Sedan, Coupe, Touring, Wagon and Convertible. Now you can get them also in a cool and sporty M3 models: BMW M3 Sedan, BMW M3 Coupé and BMW M3 Convertible.BMW 3-Series/M3, an all time renowned cars and always on top on its chart, now comes with the latest edition of ‘The Ultimate Driving Machine’ which looks quite excellent plus runs equally first-class. Excellent road performance with excellent comfort level. Chassis is fairly balanced, provides outstanding performance on motorways. A total of 12 different diesel and petrol engines to enhance and ensure a powerful drive. Steering is fairly weigh plus fluid. It has an all-wheel drive model, bit heavier but provides terrific driving dynamics for bad climates and definitely endow with a comfort zone to drivers. The new 2011 Mustang has entered the market with a boom of 5.0-liter V8 engine which promises to deliver more power in comparison to previous launches, and with increased fuel efficiency. 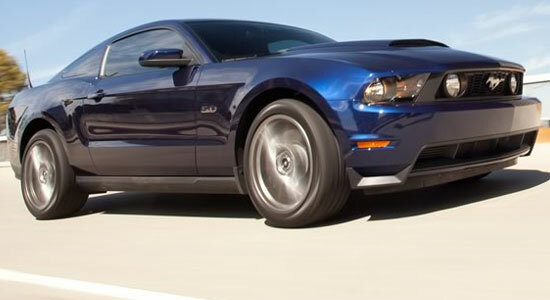 5.0-liter V8 engine that boasts Ford’s Twin Independent Variable Camshaft Timing. 2 new six-speed transmissions to enhance smooth shifting performance. The Accord has marked their footstep in the auto market with a bang and has always been an extraordinary value. 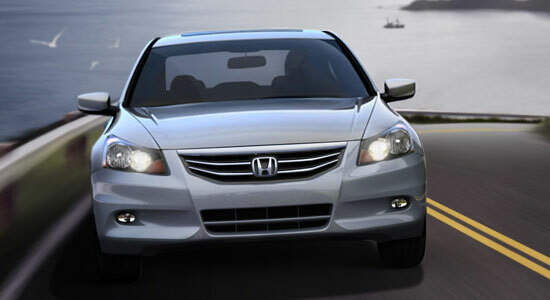 This year, 2011 Accord Sedan, will give you all worth you want to get from Honda in return to your money. The luxurious Accord SE has been priced at $23,730, comes great interior with leather-trimmed seats, heated front seats and a leather-wrapped steering wheel. Stylish look to attract the passer by. Sharp lines and powerful stance excite the senses from any angle. i-VTEC for abundant power and efficiency at all engine speeds. The V-6 features the latest generation of Honda’s Variable Cylinder Management technology, which turn on the engine’s cylinders as per requirement. Provides both brisk acceleration and fuel efficiency. A quick-shifting 5-speed manual transmission. The Cadillac CTS-V is a series of mid-sized car with high performance version of the standard CTS; comes with a pushrod V-8 OHV engine and a sport-tuned suspension this 4-door CTS-V sedan was launched in the auto market in 2004. The CTS-V Sport Wagon and Coupe were introduced in 2010 and for the 2011 model year. Competitors with high performance and luxury BMW M5, Mercedes E63 AMG always give neck to neck tough fight to CTS-V Sedan. High Performance Brembo Brakes – 6-piston front, 4-piston rear Brembodisc brakes. 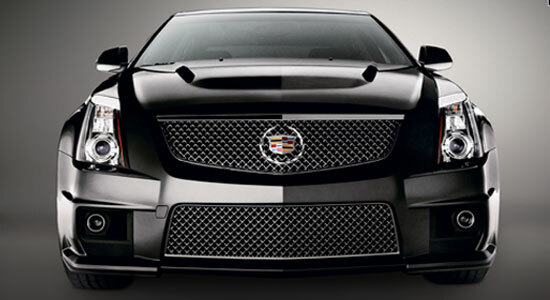 CTS-V is one of the fastest V8 production sedan. Ventilated driver and front passenger seats. 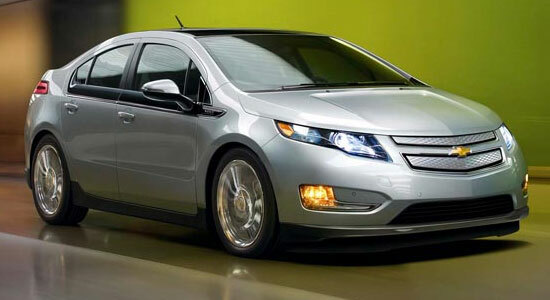 The 2011 Chevrolet Volt is a plug-in hybrid electric vehicle, powered by electricity without being plugged to any electrical outlets. This marvelous car has been manufactured by the Chevrolet division of General Motors. Since its launch in US auto market in mid of December 2010 it has been so much into demand that it has almost forced Toyota Prius to dislocate, despite of having a brilliant record as the most fuel-efficient car sold in the United States earlier. Electricity, an inexpensive source of power. Drives gas- and emissions-free for most commutes. Gas-powered on board generator gives you up to 375 miles(9) of total range. Standard navigation with voice recognition, infotainment and a climate control system. Cleaner to use than gasoline. Instant, smooth and seamless torque right at the wheels. Aerodynamics that maximize the distance per charge and miles per gallon of fuel. The Fusion Hybrid is the first new bud from Ford’s new hybrid sedan, completely platformed on the redesigned 2010 Fusion midsize sedan. Hybrid system combines a new 155-horsepower Atkinson Cycle 2.5-liter engine. Electric motor and a smaller nickel-metal hydride battery. 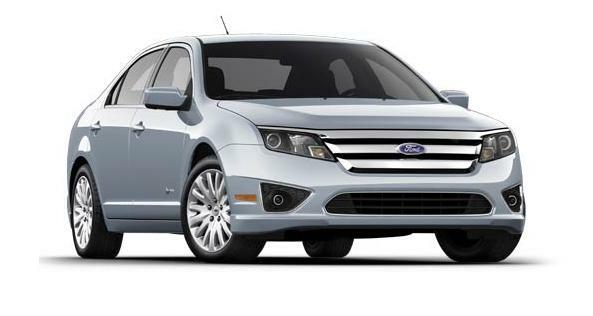 The Fusion Hybrid can reach speeds of up to 47 mph on electric power alone. Includes Ford’s new Smart Gauge with EcoGuide that features two high-resolution screens easily configured to show fuel and battery levels and average and instant mpg. Fuel Economy is 36 mpg. on Highway and on an average: 28.83 mpg. Volkswagen has an extraordinary and exciting array of cars, ranging with variations of all price ranges till luxury, whether you are looking for gas, diesel powered car, you can get all from Volkswagen. Hit list of Volkswagen cars include are gas- and diesel-powered sedans, wagons, hatchbacks and Beetle. 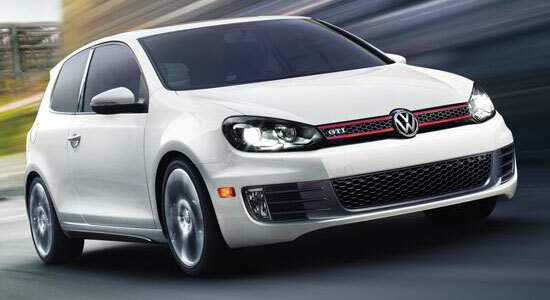 The award-winning 2.0L TSI engine; designed with the highest torque-per-cylinder in its class. Comes with a track-tuned sport suspension. Honda one of the leader of the auto industry, always pioneered the market with new and classic and luxurious cars. 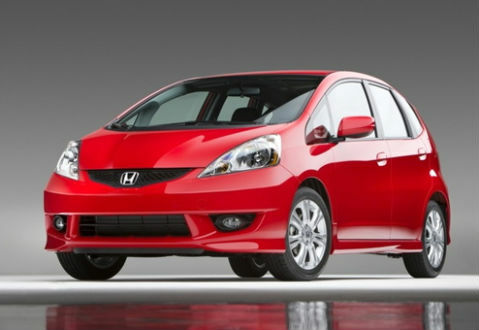 Honda Fit has strong chances to hit the auto market with its new outlook of 2011. It is Honda’s 5 door compact hatchback. The Fit has been always on the top list of buyers because of its 2 reasons; first the car is economical and secondly it has cool sporty look which enhance your driving skills with fun. The Fit first entered the U.S. market in 2006 as a 2007 model but was already a popular model in Japan and Europe, where it is sold as the Honda Jazz. Improved suspension, steering and body rigidity for sportier driving. Fuel Economy for city is 27 mpg. and on an average it is 23.32 mpg. The Mazda MX-5, popularly known as Miata in North America and Roadster in Japan, is a lightweight two-seater car, rear wheel drive convertible sport car. 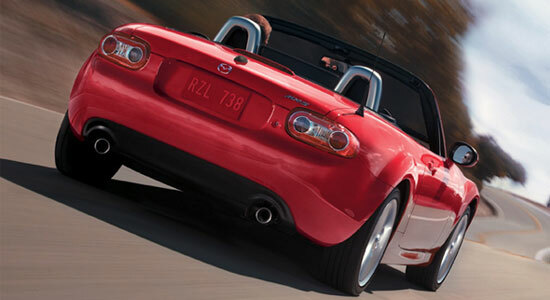 The Mazda MX5; world’s popular best selling two- seater model was introduced in 1989. There are currently 3 generations of MX-5, with the current (NC) model having been in production since 2006, and redesigned for the 1999 model year, it continues to be a best selling convertible. Bold fender flares, a large grille, standard 16-inch alloy wheels and dual chrome exhaust pipes for a more aggressive look. Hyundai Sonata falls under midsized sedan segment launched by Hyundai in this highly competitive auto maket; it has been totally revamped for a new look for 2011 with its sylish look as high powered fuel efficient car. It was launched in 1989, it was designed in 1995, again in 2006, then in 2009 and now with an all new look or can say makeover for 2011. 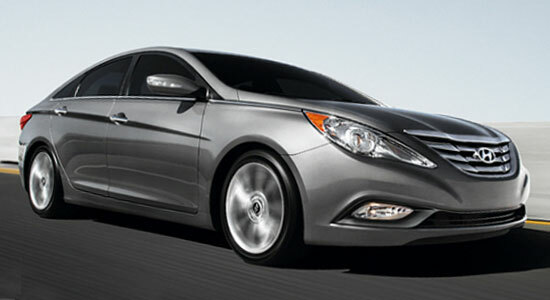 Sonata dominates the market and its competition in both horsepower and MPG. Steering wheel audio, phone and cruise controls.